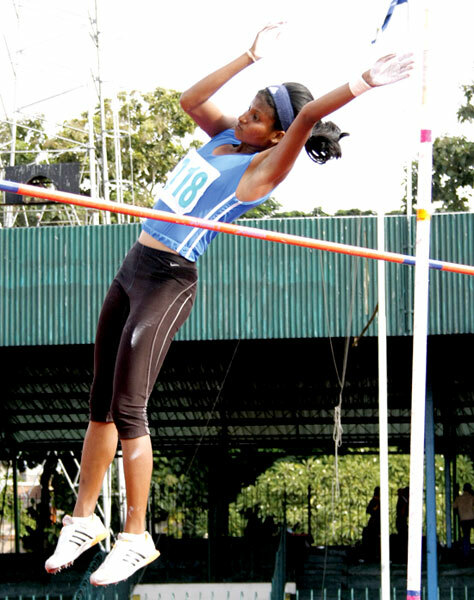 ATHLETICS: Three athletes from Western Province Ishara Udayangani of Yasodara Balika Vidyalaya, Sanjuna Sumanaweera of Royal Institute and Shehan Ambepitiya of Gateway College established new meet records on day two of the four-day All Island School Games 2008 held at the Sugathadasa Stadium yesterday. RUGBY: President of the Sri Lanka Rugby Football Union (SLRFU) DIG Nimal Lewke charged a powerful person connected to Kandy Sports Club was behind the recent withdrawal of 12 players from the club for so-called. BOXING: On a day marked by walkover and close contests E. G. A. Gunathileke of Air Force who was trailing by nine points to 15 scored by K. M. D. Jayaranga of Vidyarathna.